Up till now we have been training in gyms, indoor mini-fields with other teams, trying to keep costs low. We've also been on ourdoor tennis courts to get more time in. Niagara only has 2 outdoor full size artificial fields and no indoor full size pitches. (that changes next year in Welland with our new building!) For indoor soccer we have 3 mini pitches in Niagara that are all booked solid. But what he have done has been beneficial and most of the work has been individual technical work and small group tactics. We've been playing a little bit of catch-up with some of the boys and working with who has been able to come out because of hockey and basketball. Now that the weather has been getting warmer and we have some field time booked we are ready to move this season's program forward. The boys have been very good but they are wanting to compete. With Coach Paul's work scheduling easing up a bit in the coning month's we'll be able to have more activities where we split the group in half and a coach for each side. We will continue with the group fitness/agility sessions on Thursdays. We will continue with our technical and small group work with small sided games. Before our May 28 season opener, we have 3 field times booked in St Catharines, a tournament in local Beamsville and a day of 3 friendlies with a series of clubs. That makes a minimum of 9 chances to get our 11v11 organization in place. We are going to have some squad practices to focus on GK/defenders, midfielders and forwards, groups working together up the flanks and through the middle. For the first 2 field sessions in St Catharines the opposing coach has agreed to 40min phase-of-play for each team in our own half and then 11v11 for 40min with coaches on the field for each team. My goal for the first two 11v11 sessions will be to setup our shape so the boys are in a situation where they can succeed at applying what we've been working on in training. Our 3rd session on the full field will be a straight up game. Then we have another split phase-of-play and 11v11 setup before our tournament and final series of games. It would be nice to have the field for ourselves with a few extra guest players, but I don't see that happening and I have a budget to work with. We split the cost of the fields with our fellow renters. The teams we are sharing with are good matches for what we are trying to accomplish. We still need to have our parents meeting and a team social before our tournament in May. We have a lot of work to do in 7 weeks. The boys seem like they are enjoying themselves so far. I have been feeling better about sessions this year compared to last and they have been running a bit smoother. I haven't been as rushed getting to training and the weather has been co-operative compared to last spring, when it rained and rained and rained. Fundamentals ... Who? When? Where? Why? What? “Fundamentals, fundamentals, fundamentals. You’ve got to get the fundamentals down because otherwise the fancy stuff isn’t going to work.” Randy Pausch, "The Last Lecture"
"You have to learn the basics of your instrument. It is like sports: if you don`t have the fundamentals, you don`t get very far. Natural talent will only carry you so far." Steve Wilson, British TV personality. One of my personal favourite moments in terms of coaching and sports was when a parent went up to my son's Novice hockey coach roughly 10 years ago to press him on a concern. He was a self-declared hockey expert and asked the coach why the team never works on a break-out drill. The coach looked at him and replied "Well, very few of the kids can accurately pass the puck out from behind the net to the end of the blue line, so we need to learn that. Of the ones that can, they don't pass it hard enough and few of the kids know how to receive a puck coming at that speed on an angle coming from behind, so we need to learn that too." This coach spent most of his sessions skating and puck handling. The players were 7 and 8 years old. The fact is fundamentals have to be a very big part of every program. Even NHL players continue to work on their skating, footballers on dribbling/passing and baseball players on fielding grounders. It's silly to think your team is past the point of working on fundamentals. But we occasionally hit a problem with some coaches. New methods in training are developed as we gain more intelligence about our sport, but sometimes coaches think that the new method replaces all other types of sessions. An example is delivering a session using GAG methodology (Game-Activity-Game) . GAG is great and I use it often, but raw technique still has to be taught. GAG is being explained and demonstrated through the new community coaching curriculum in Canada. But remember, it's not the entire session. There is a warm-up portion where physical movements and fundamental ball exercises can be presented. "The fact is fundamentals have to be a very big part of every program." Most coaches only see their players for 1-2 sessions/week plus a game. You need to teach them technique and the game. And don't forget physical literacy and Agility-Balance-Control! They don't play enough on the street so they don't get enough touches and game exposure. So now what? How do we get them their touches? Run the occasional session where you run through several technical sequences with deeper coaching, then have a small sided game at the end. Your Small-Sided-Game can still have a theme and ideas can be introduced. Keep the fundamental exercises enjoyable and progressive. Use the "warm-up" portion of a GAG session to give the players their deeper coaching and repetition in techniques. Use the warm-up before your game to work on technique followed by an enjoyable and purposeful small-sided game before kick off. If you have a good technical coach on your staff, send players over in small groups during training for more a personal level of instruction and refinement. Conditions in your Small-Sided-Game can bring out more frequent use of certain techniques. Make it fun. Certain contests and games can directly tie success to the perfect execution of a specific technique. Dribbling relays, consecutive successful passes, shooting games, etc. Give them fun activities to do on their own before training as players arrive, by their own choice. Large group keep away with 1/2/3 players in middle, crosses into the penalty area, skill challenges, "World Cup", etc. New coaches need to remember, first and foremost, do not get frustrated with how a game is played without knowing the building blocks of what you want them to do and if they know how to execute those building blocks. Where? At training field, on-field during game warm-up, watching games lives, video review, etc. How? Know your session topic, keep it enjoyable, focused, progressive and with definite indicators of success. Today we had a daytime session with the u17 boys. It's Good Friday and they have the day off school. We took our chances with the organization by assuming the tennis court area was open. School and City fields are still closed until May 15, so we make do with what we have. The tennis courts were already occupied with a street hockey game so we improvised on the track area. It worked out fairly well. The theme of today's session was "Time and Space". My objective was to build more chemistry between the boys and review concepts they should already know. Time/space has to be an underlying theme for everything, but occasionally you have to make it THE theme to keep those concepts fresh. With this group we really need to work on earlier and better passes to give teammates the confidence that if they assume a more open support position, the ball will get to them. if they think the pass is weak, they will move in closer, killing the team's shape. The session started off with a run along the canal bank. While Coach Loris was doing that, Coach Venanzio and I were setting up the first drill. We improvised for the new location of the track. The opening exercise involved passing and running, emphasizing the speed and quality of the pass so the receiver had enough room to do what he had to do. All players were running through a sequence so a weak pass caused the timing of the whole thing to collapse, putting pressure on each player to focus on their jobs. Players were taught to move to passes when they were kids. This is great until moving too close to the passer resulted in the pass being useless. The message is for the pass to get there, and with quality. We progressed this to the sequence involving a lot of wall passes, again, coaching the initial receiver to assume a position of maximum space. If the support position allows for maximum space, that more room for the receiver to move towards the ball to get it (and time). We then progressed to grids with 4v2 keep away and then 8v4. During 4v2, we coached the players to always move to a position creating more space. In the grid, if you are 2 yds in from the corner, why not move right to the corner? If a player is open, why not pass it NOW instead of after an extra touch? if defenders are covering one side, why not move the ball to the other side? The lesson was simple. Spread out, talk, keep the ball moving quickly and possession is easier. Moving to 8v4 in a rectangle, they started using players at the other end to spread the defenders out. It is always nice to see players figure things out on their own. All was according to the plan until the final game. I was planning for more space but we just played 3v3 with 2 teams waiting, winner stays on each time. We had 14 players but one had to leave for work and another hurt his knee at school this week. The game was getting competitive and they seemed to enjoy themselves, so we minimized the coaching other than to give them a few tips on how to react to the new opponents after you score. The organization was a rectangular field, 6 yellows, 6 blue players. 3v3 on the field. The other 3 teammates were waiting behind the goals with a ball. If a team scored, the defeated team cleared the field and the teammates ran on quickly with a ball and started the next game. There is a bit of a counter-attack mentality involved, but we didn't beat on that and start a new theme. The passing was quicker and sooner, players were getting themselves open with a lot of chatter, so we were happy. The boys continue to be enjoyable to work with. They have nice personalities and enjoy playing together. Half of the boys are from St Catharines and they show dedication by coming to Welland to train. I hope, in some small way, they understand what Coach Ben is doing by keeping this team going and they decide to play into their adult years. I am not happy that I poorly planned the location. We can't exactly book the tennis courts, so next time I need to make 2 plans, for 2 venues. I also have to find a way to know how many players will be available. You develop the ability to adapt quickly with experience, but it's always better to plan ahead. I think the end game would have been better served if we had done less of the initial passing drill and more keep-away with different themes. The keep-away is very applicable and the boys enjoy it. I am going to take a "time-space" themed approach Monday with our U13 boys. I will devleop 2 plans for the U17 boys for Monday. If we have the larger space I will repeat this session with a few more ideas for them and we'll see where that takes them. Tonight we had our third group fitness/agility session along with our group of teams. The u17 boys were not there this time. We had 60 players out from the 5 teams that were there. Only one of our players was missing as he was at basketball. I made one main switch being that we reduced to 10 stations from 15 and did 3 circuits. We started off with a 12 minute run and five 40m sprints as usual. Three new exercises were inserted this week this week. Hopefully changing exercises will keep the circuit fresh to some degree. One of the dads, who is a local high school football coach, introduces them to a new push-up every week. Our hope is that they find one they like and use it. As long as we include components for fitness, speed, agility and core strength we're heading in the right direction. We want to use LTPD as a guideline for what we do and ensure we continue to develop each player's ABC (agility-balance-control). A nice change tonight was that all the coaches were able to watch our kids as the parents were manning all the stations. We have parents coming in their athletic attire now and that's great to see, showing the boys that they are part of the action. We even had a parent doing the stop watch and whistle timing the stations. That freed me up to pay closer attention. The coaches are happy with how this is progressing and the parents are giving us useful feedback. Next week I want to each team to start keeping track of how far their own players run during the 12 minute run. And we need to keep spotters around the track. Last week nobody stopped during the 12 minute run, but tonight we had a few that created an impromptu "shoe-tying station", as coach John called it. I also need to rethink the organization of the whole thing. The stations are arranged along 50m of the track and it's worked OK, but there has to be a better way. Coach Paul mentioned that doing it on the tennis court might be a good idea, to keep everybody contained and out of the way of the track club that is also there. Over and above the fitness and agility training, the comradery between teams has been the most enjoyable part. The coaches get along well and the kids can see the chemistry between us. A view of some of the stations from one end of the track. I am spending some time at St Michael's Catholic High School in Niagara Falls for a teacher who is recovering from surgery. While I am there, I am going to be helping with the Jr Boys soccer team. Today was my first time with them and it was enjoyable. I am going to use this time to learn how to be a good assistant, something I've never really had to do. Both coaches are full time teachers and it's only right to respect their place in the school and be helpful in the background and step up when asked. It's nice in this case because the coach is Loris Lucchetta, the person I work with on Welland's U17 boys. Keeping the circle tight, I guess. Today we worked on 1v1 defending. The practice plan laid out by the coach was solid and he showed maturity by altering it when he realized he would have to introduce a totally different topic to make his one step work. It's never a bad thing to alter your plan if it makes the session better for the players. It's very early in this team's life. The session had a diagnostic tone to it, seeing where the boys stood in terms of knowledge and technique. They have a lot of work to do. Coaching while at a school makes the experience so much better for me as a teacher. You make new connections with students, hopefully making their own school experience more memorable. High School coaches fill a VERY important role in transforming youth soccer players into players for life. A definite challenge for a coach-teacher is to keep their cool during games. You're still in your official role as a teacher and the players are students at your school, so every word and action are subject to review, questioning and potential discipline. You should always be a well behaved coach, the teaching designation just makes it an official requirement. Next up for this group is Tuesday after school, when everybody returns from the Easter break. Last night the u13 boys trained outdoor on a tennis court again. The weather was dry and the fields are still not open. I want them breathing and running outdoors. To me there is something different about the fitness demands and breathing indoor and outdoor. Maybe there is no science to support me, but it’s my gut feeling. I sent the parents a note about dressing for early season outdoor training. Last night the temperature was 7’C (44’F) and a bit windy. My suggestion is thin layers than can be peeled off as the player gets warmer. A great suggestion made to my wife (who runs) is to dress for how you will be once you get warmed up. The last thing you want is to get cold in your core. Once you hit that point, you’re toast. The technical gear that is out there now is amazing. Our problem when I was a boy was sweating under your layers and that sweat getting cold on your skin. With dri-fit type clothing , that problem is gone. Practice went well last night. I showed up with a full plan in hand and the boys came in a good mood. We had a few guests with us and they all got along swimmingly. We started with a 12 minute run and some suicide type sprints. We then ran a series of turning, passing and 1v1 drills just to get touches on the ball. All exercises involved teammate, nothing in isolation. Of course all exercises incorporating dribbling. When we got to our game we stressed possession and options again. Before we could get to possession and support coaching points we spent 10 minutes establishing our shape. Without shape, everything else falls apart. I was happy at the end of training. I determine what I really want out of that practice and focus the majority of my coaching points towards that. Sometimes it becomes difficult to not over coach and you run the risk of losing your audience to excessive talking. It was cold and the boys are young, so they want to play. My next session will build off this and I will incorporate more keep-away type exercises. I knew I was going to be alone today so I did not want to set up mini groups that I could not pay the proper attention to. Overall I think I still need to tweak my approach with this group. They are different from my other groups in the past and it’s my job to figure out what makes them most excited at training. They keep coming back, working hard and giving me another chance to coach them and I appreciate that. Next up is our group fitness on Thursday. This morning we worked with the U17 boys. This is a tough balance because right now a lot of the boys have high school soccer so you have to be careful of how much fitness work you do. Some of the high school coaches in the area run the boys a lot. And they are starting their preseason tournaments as well. Last Wednesday, for high school soccer, my son played 6 25-minute indoor 6v6 games (with 2 subs) between 9:30am and 3:00pm. You have to know what's going on with the players and take proper care of them. 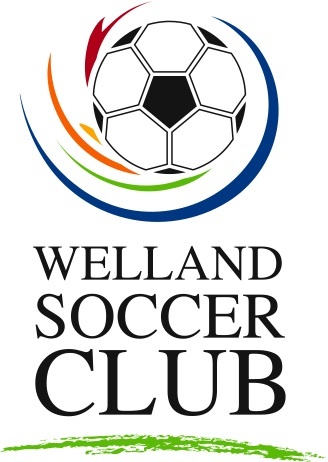 So, today ... we had 12 players in attendance at the Welland Soccer Club indoor field. The only notable injury was a bruise one player had from getting spiked at school soccer training (he wasn't wearing shin pads). We started with a small run and dynamic stretch as always. Some of the players learned new turns today and overall they were "OK" at it. Some used a few of the turn-pass patterns in the game at the end, so that's always good. One coaching point I forgot to remind them of was balance during the turn so they can make a proper pass and move after the turn. Looking at my plan, I didn't have it written down to remind myself. My fault. We followed this with a passing sequence that involved a minimum of 12 touches going through the pattern. We started with 2-touch, then 1 touch passing, then 1-2 combo going through the sequence. It was one of those exercises I enjoy where there is pressure on every player to get it right or the sequence breaks down. It was about working to make the good pass and to run and fix the bad passes coming to you. We are trying to instill a level of responsibility and teamwork in their passing and receiving and realizing there is more to being on a team than just having the same jersey. They were working to keep it going and for the most part they did. We did very little technical coaching during this portion. It was more giving them ideas on how they would fix passes, using their athleticism to get to a stray ball and being creative in getting it to the next guy. I have to say, up to the game portion of training, I was happy with them. We got a lot of movement and ball touches in. We were all happy as coaches and the players were happy with themselves. When we got into the game we changed gears a bit. We wanted to see that they worked towards not having the man with the ball as the last man. This forced some support movement. Then we worked on the type of movement you would do when passing the ball back. To keep it simple we said if you pass back, you make 3 steps backwards and wide, then play is ON. If the defender follows you then a space is opened up for the man with the ball. If the defender goes towards him then he can use you and now it's a 2v1 which opens up a world of possibilities. We kept the instruction on support down to those 2 points. I want to see if we can build this group up one step at a time. Some have had solid training at younger ages and some are playing catch-up. Coach Loris wanted to try something and it worked fairly well. Later in the game when he said freeze the defending team stood where they were and the attacking team had to split defenders with 'x' amount of quick passes and the game was back on. We have to tweak it a bit but the boys seem to catch it and Loris explained it well. I look forward to seeing where that goes. I think it went smoothly today. I should have been more thorough with coaching points but I always fear talking too much. 17-year-old boys want to play as much as possible. We have 4 coaches and it's tough to keep everybody busy with only 12 players at training. You want to avoid 4 people barking out instructions but you also want to avoid a coach doing nothing at the same time. Next up are 2 outdoor sessions during Easter weekend. These boys are making progress and they are fun to work with. I appreciate how they make me feel welcome and work hard.